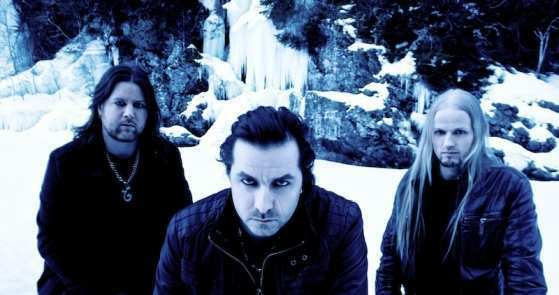 Keep of Kalessin had a rough couple of years. There was considerable fan backlash over their submission to the 2010 Eurovision contest, “The Dragontower,” which was considered far too poppy for a respectable black metal band. Much of this can be attributed to elitism and the subsequent album, Reptilian, fared better, but it proved to be the last album with longtime vocalist Thebon. Now a trio, Keep of Kalessin is back with a new album, entitled Epistemology. Epistemology is a solid album of slickly polished, catchy, and melodic black/death, although it has a few problems. The first thing fans will notice is the absence of Thebon, as Epistemology simply doesn’t have the vocal variation of past albums. Obsidian Claw handles the vocals now, and he generally uses a mix of clean vocals, rasps, and spoken croaks. The rasps are solid, but aren’t the most powerful around. The spoken portions of the albums are a little cheesy and are overused on “The Spiritual Relief ” and “Dark Divinity.” But it’s the clean vocals that are most prominent on Epistemology. Obsidian Claw’s clean vocals are much better than his rasps and he uses them to great effect, particularly on the album’s choruses, making Epistemology a very accessible album. Nearly every song has a memorable clean vocal section or chorus, with some highlights being “The Spiritual Relief,” “Introspection,” and the title track. However, Epistemology has its flaws as well. The album could be more concise. Many of the songs range from seven and a half to almost ten minutes long, and they do drag a bit. The shorter “Universal Core” helps break up that pattern, but it doesn’t feel as inspired as the rest of the album. The songs, catchy as they are, become a little bloated from overuse and repetition of melodies. Finally, the spoken vocals of the album seem out of place and awkward. In all, these are all fairly minor problems and they never quite reach the point of distraction. 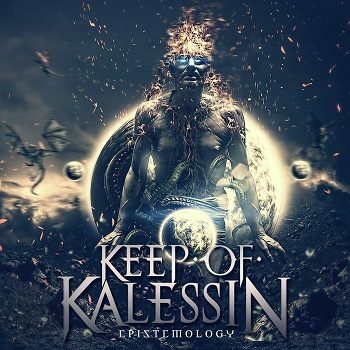 For fans of recent Keep of Kalessin albums, Epistemology will deliver. It’s a little cleaner, and a little less blackened but it continues the genre blending of black, death, and thrash that Keep of Kalessin has been doing for some time now. While not as good as Armada or Kolossus, it has some excellent moments and overall I liked it more than Reptilian. If anything, it shows the trio still has plenty of energy and aggression. 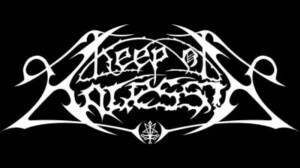 This entry was posted in Featured Review, Reviews and tagged Armada, Blackdeath, Epistemology, featured, Indie Recordings, Keep of Kalessin, Kolossus, melodic black metal, Norwegian black metal, Obsidian Claw, Reptilian, Vyl. Tends to like the dark, depressing, or filthy ends of the metal spectrum. He's also a huge horror fan and librarian by day.